I don't know about you but I am a couple of days away from pay day and, well, my bank account is showing the strain. But that's not to say we don't deserve treats! 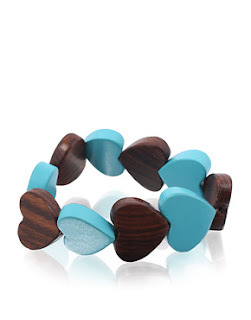 Looking all summery and boho - the summer look you will never escape from in some form or another - this heart bracelet from ASOS is a perfect pre-pay day treat. At only £5, it'll inject a bit of texture and colour to your outfit and make you smile!